The earliest computer games were little more than lines and dots on a blank background. As the decades have passed, more refined technology has allowed video games to evolve beyond what the earliest creators could have imagined. The history of video games is a fascinating one, as we have seen an entirely new creative entity come into existence and flourish within a relatively small period of time. We are going to take a look at where video games have come from, and where they are heading in the future. It’s already been quite a ride, but the fun is only just beginning! Video games today have come a long way from their humble beginnings. Although perhaps ‘humble’ is the wrong word, since the descendants of what we know video games were created using the most advanced technology available to man. The first of what might be called video games were basically ways for computer programmers to demonstrate the capabilities of their machines, as well as programming in general. The earliest such electronic game is generally regarded as being the ‘Nimatron’ developed by Edward U. Condon in 1940 for the World’s Fair. Thousands of people played the maths strategy game of Nim versus the computer, with the computer coming out on top 90% of the time. ‘Bertie the Brain’ was a game of noughts and crosses built by Josef Kates in 1950, and where you could play against the computer with the game appearing on a large lightbulb backed display. Another early game was OXO, also a noughts and crosses game, this time developed by British professor A.S. Douglas in 1952. Some consider ‘Tennis for Two’, the early sports game created by William Higinbotham in 1958, to be the first ‘true’ video game. This two-player game showed a representation of a tennis match in profile, and was the first game ever developed for its own sake and not for demonstration purposes. In 1962 Steve Russell developed a game called ‘Spacewar!’, which was to provide the inspiration for the hugely popular Asteroids game that appeared in the late 1970s. In 1967 a group of developers at Sanders Associates Inc. invented the first ever games console. ‘The Brown Box’ connected to a couple of controllers and your TV, allowing users to play (very) simplified versions of tennis, football, Simon says and others, and it was finally released for sale to the public in 1970. The first coin-operated video game appeared in in 1971. Computer Space made over a million dollars and proved particularly popular with college kids, but was not quite the super-success that their creators had hoped for. Developers Nolan Bushnell and Ted Dabney launched another game the following year. The simple table tennis styled ‘Pong’ game would prove to be an incredible triumph for their fledgling company, Atari. The 1970s and early 1980s were a golden age for video gaming, a time when many familiar games and characters made their first appearance. The late seventies marked the period when coin-operated video games replaced pinball machines in pride of place in gaming halls, shops and bowling alleys. Game designers in Japan like Saito, Sega and Nintendo were producing games which would become classics. Pacman, Q-bert, Asteroids, Space Invaders and Donkey Kong were among a raft of such games, which when transferred to the US helped to raise video gaming to new heights. However, they say that what goes up must come down. That was certainly the case when the 1983 video game ‘crash’ occurred. This crash was personified by the now infamous E.T. game from Atari, one of the biggest disasters in the history of video gaming. This game was based on the huge blockbuster movie, which should have made it a sure-fire hit. Instead, a combination of terrible graphics and confusing story-lines meant that the majority of these game cartridges ended up in a land-fill in New Mexico. Other factors which negatively impacted the industry included an influx of poor quality games and the rise of home computers which were starting to make the early consoles obsolete. While the video gaming industry in the United States may have hit a rocky patch, the industry was still booming over in Japan. Nintendo and Sega were producing new generation consoles, and role-playing games (RPGs) like The Legend of Zelda and Final Fantasy were being developed. As these new games and consoles crossed over to the States, the industry was on its feet again by 1985. 16-bit consoles arrived in America by the end of the eighties, allowing for even more complex games to be produced. At the same time, Nintendo’s Game Boy made its appearance, opening the market for hand-held gaming devices. In the early to mid-nineties, familiar titles like Sonic the Hedgehog, Street Fighter and Mortal Kombat arrived on the scene. One sure-fire sign that video games were now part of the mainstream is the fact that movies like Super Mario Bros and Mortal Kombat were being made in the mid-nineties, taking the games as their inspiration. Online gaming also began to appear in the ‘90s, as improving technology and connection speeds allowed for more people to play online. 1995 was the year when Sony released the PlayStation in the US for the first time, putting it up against the Sega Saturn and Nintendo 64. When PlayStation 2 arrived in 2000, it quickly became the dominant console in the video gaming industry. The turn of the millennium also introduced the world to The Sims, the life simulation game which goes on to become the most popular video game with female players, as well as the highest-seller to date. Microsoft’s X-Box hit the stores in 2001, and games like Halo helped to make it into a viable competitor for PlayStation. The Nintendo GameCube and Sega Dreamcast were the other big consoles on the market, but Sega admitted defeat in the face of such strong competition, and focused on becoming a software provider from 2001 onwards. By the middle of the decade, the battle was between the next generation of consoles: Microsoft X-Box 360, Sony’s PlayStation 3 and the Nintendo Wii. The Wii may have been less complex than its rivals, but it still managed to out-sell them both combined. This new console used motion controls to get players off the couch and moving about, and forced Microsoft and PlayStation to react with the Kinect and PlayStation Move. Today’s consoles include the X-Box One X, PlayStation 4 and Nintendo Switch, a console which allows gaming on your TV or as a handheld device. Meanwhile eSports really started to take off in the 2000s, to the point where it is now a multi-billion-dollar sport. League of Legends and Counter Strike: GO remain the most popular titles to feature in professional competitions, and the sport has grown to the extent that it may well feature in future Olympics. 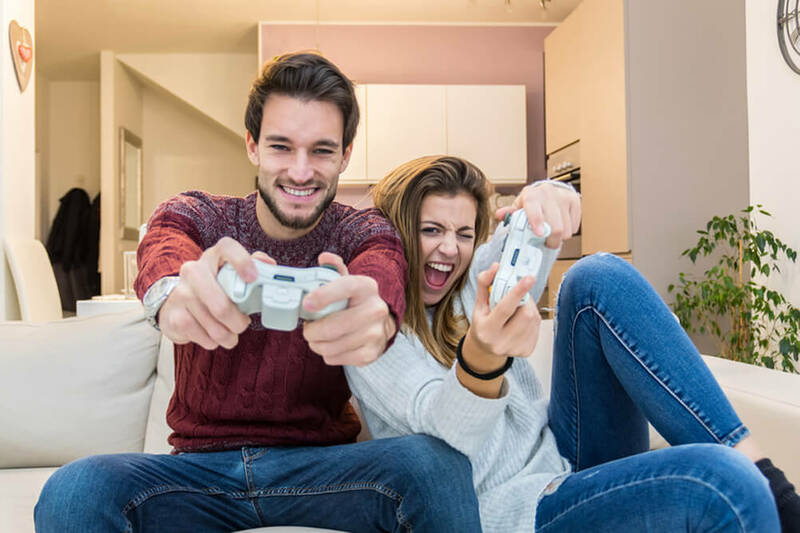 It is safe to say that video gaming industry has certainly undergone some major changes since the days of ‘Tennis for Two’ and ‘OXO’. Pokémon GO certainly made waves in 2016 with its innovative use of augmented reality, and it seemed that for a while there half the country was running around chasing virtual creatures. It remains to be seen whether this was a one-off trend or something which will shape the industry going forward. Virtual reality is widely touted as providing a future of enhanced gaming, and already this technology has made some major inroads into the gaming world. Nintendo introduced the concept of movement while gaming, but VR has the potential to take this to the next level, for example by integrating exercise equipment with virtual worlds. It is likely that developers will want to make VR gaming more of a social experience in future, rather than a closed off or isolating one. We can certainly expect new consoles to keep appearing every few years. After all, if they didn’t then smartphones would outstrip them, as phones are updated on such a regular basis. Speaking of phones, expect to see more and easier integration between these devices and your TV to allow more complex games to be played on the larger screen. Beyond that, the video games of the future are only limited by the imaginations of their creators. Of course, one aspect of video gaming which we have not focused on here is the real money gaming market. Online real money games have been available since the mid-nineties, with thousands available today and the industry worth billions. 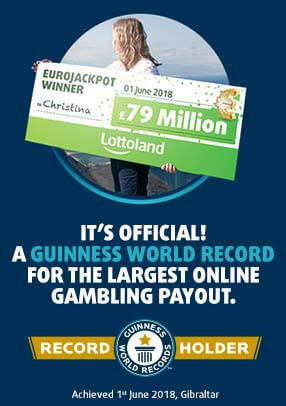 Lottoland has its own selection of games available to play in demo or real money mode, a selection which comes from some of the very best games providers on the market. If you are expecting old-fashioned, boring slot games then you will be pleasantly surprised by the quality of games on offer here.